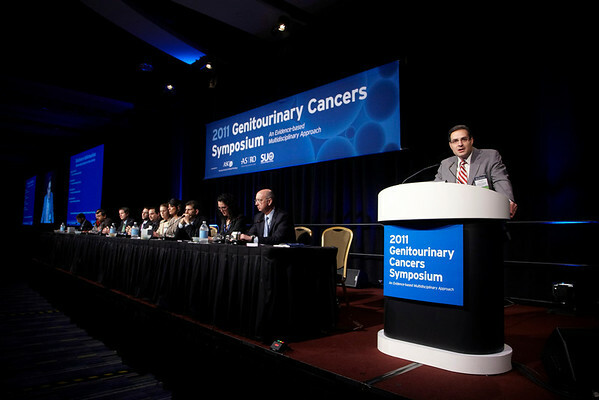 Orlando, FL - 2011 Genitourinary Cancers Symposium - Dr. Robert S. DiPaola address the ORal Abstract Session A: Prostate Cancer at the 2011 Genitourinary Cancers Symposium (GU) meeting at the Marriott World Center here today, Thursday February 17, 2011. Over 1800 Physicians, Researchers, Care givers and survivors attended the meeting sponsored by ASCO, ASTRO and SUO. Photo by © Todd Buchanan 2011 Technical Questions: todd@toddbuchanan.com; Phone: 612-226-5154.